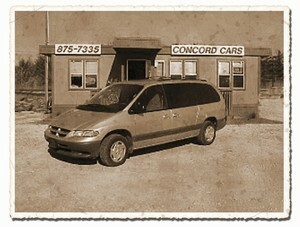 In 1986, Concord Cars began with a small gravel lot and 20 vehicles, with a mission to create a new kind of car buying experience. Fast forward 30 years: now with an average of 400 vehicles in stock and over 20,000 customers, Concord Cars has grown to one of Michiana's largest used car dealership with 4 great locations to serve you ! When it comes to customer satisfaction, the two main building blocks we believe helped build Concord Cars in Elkhart, Goshen & South Bend, IN , are quality products and quality people. For this reason, we continue to conduct business the way we did in 1986. From the handpicked inventory to the clearly marked prices, our staff believes it is important that you, as the customer, deal with the same person from start to finish. We now offer our FEEL GOOD CERTIFIED program. Why? To provide our customers a peace-of-mind buying experience and to continue the commitment to provide the best possible product available at the fairest prices possible. We have many happy customers from IN, IL & MI, including but not limited to those from: Notre Dame, Dunlap, Middlebury, La Grange, Howe, Angola, Ligonier, Kendallville, Albion, Syracuse, Nappanee, Bremen, Granger, Hammond, Plymouth, Rolling Prairie, La Porte, Valparaiso, Portage, Hobart, Fort Wayne, Merrillville & Michigan City, IN; Chicago, South Side, Oak Lawn, Orland Park & Chicago Heights, IL; New Buffalo, Sawyer, Berrien Springs, Benton Harbor, St. Joseph, Dowagiac, Three Rivers, Sturgis, Niles, Portage, Battle Creek, Kalamazoo, Paw Paw, Schoolcraft & Decatur, MI.